About : Even when high above the city, the eye’s true desire is to be in the throng, far below. 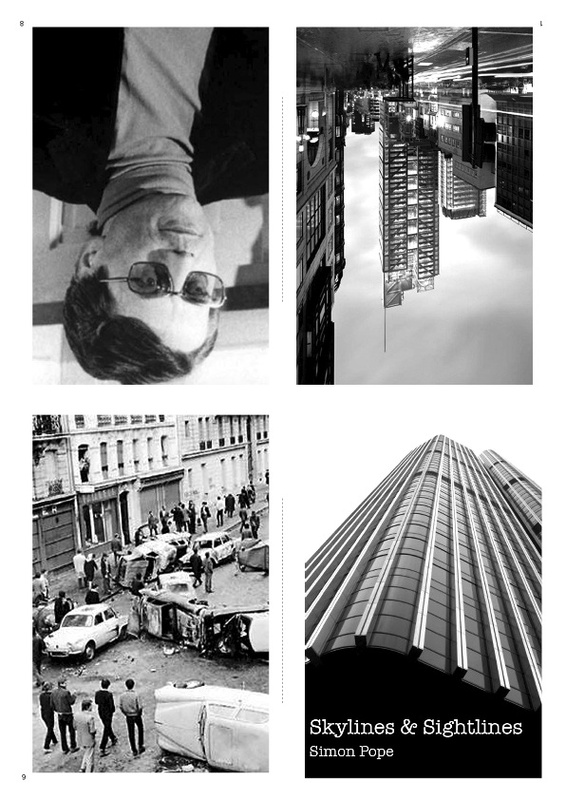 In this edited version of Pope’s City As Material photo essay, Skylines & Sightlines tells the story of its fall, the brute force rallied in order to regain its omnipotence and where it meets with an equally determined resistance. 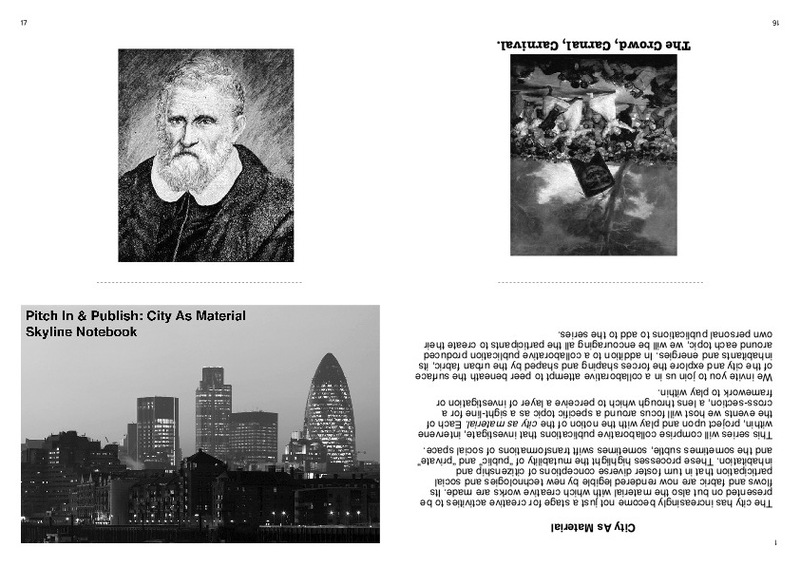 About : a notebook designed by Haz Tagiuri for participants in the Pitch In & Publish : City As Material event on Skyline to use to collect notes and ideas, paste in pictures and cuttings. Includes a photo essay by Skyline’s event special guest, Simon Pope. 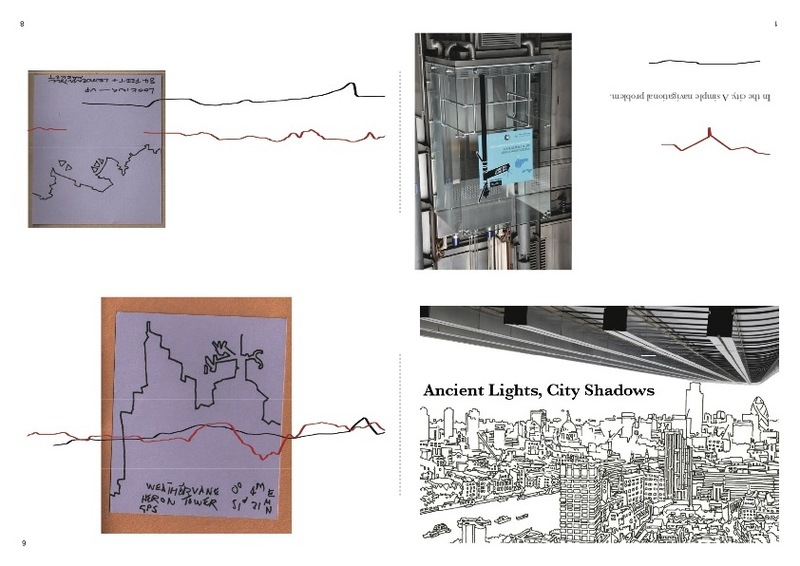 Book a place at Skyline (Friday 12th November) or one of the other forthcoming events, Underside & Sonic Geographies. Simon Pope is an artist who lives and works in Cardiff, Wales. He is a NESTA Fellow, studying ‘ambulant’ research methodologies and will be exhibiting in the Wales Pavilion at the 2003 Venice Biennale.